Taiko no Tatsujin Wii: Minna de Party ☆ 3-Daime! 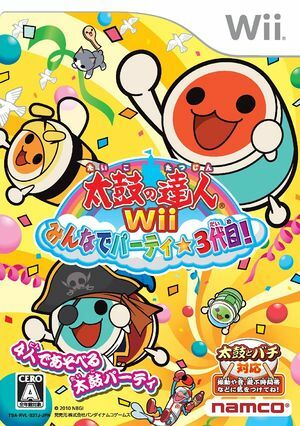 Taiko no Tatsujin Wii: Minna se Party * 3-Daime! is a rhythm / music game which was released in Japan in 2010. The graph below charts the compatibility with Taiko no Tatsujin Wii: Minna de Party ☆ 3-Daime! since Dolphin's 2.0 release, listing revisions only where a compatibility change occurred. This page was last edited on 13 January 2018, at 14:23.